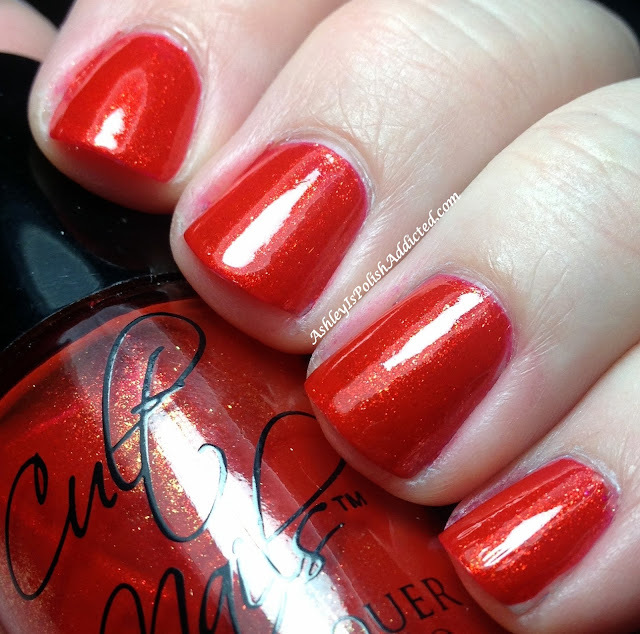 I have a quick, but gorgeous, nail of the day post for you tonight! 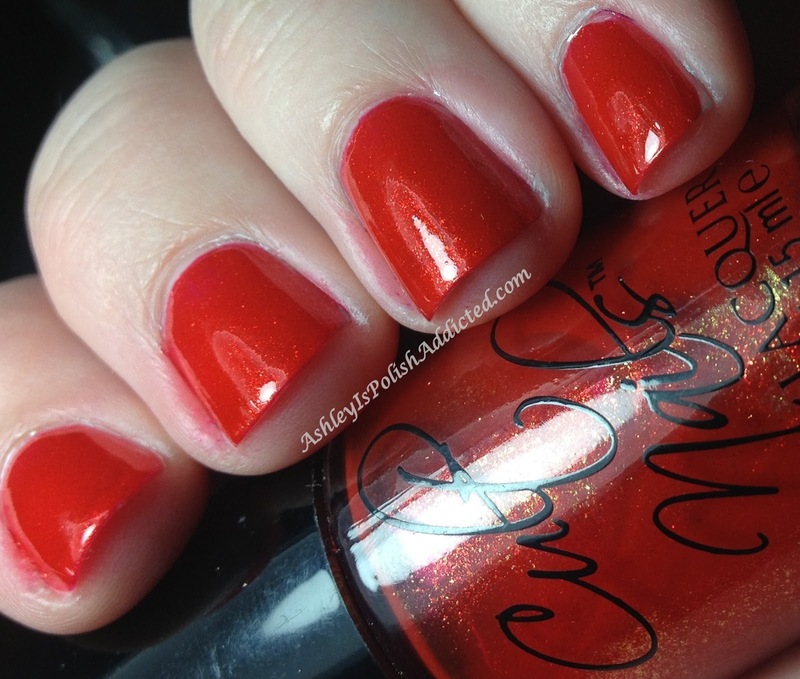 I received this lovely polish as a birthday gift back in November and have worn it several times since then. I've taken photos each time only to have them turn out mediocre. 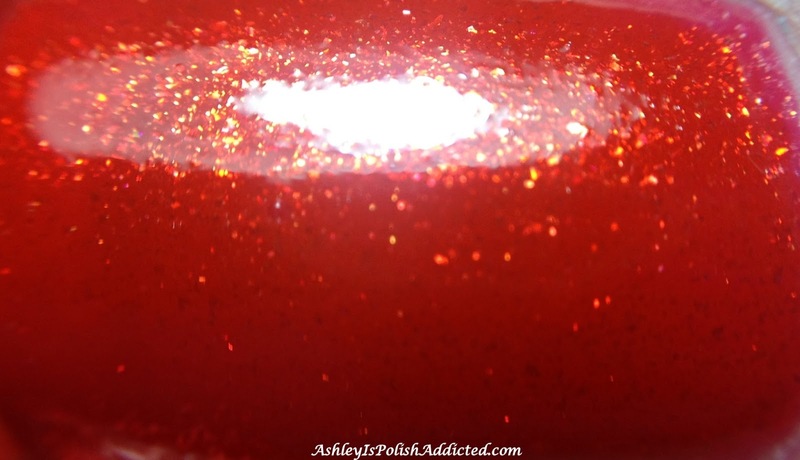 This polish is just so pretty and has so much depth that I finally accepted the fact that I would not be able to do it justice but I wanted to show it anyway. 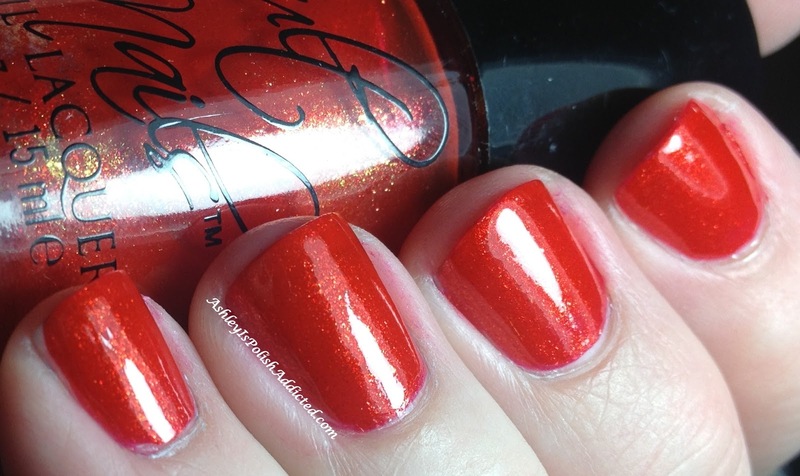 Annalicious is a gorgeous warm red that is packed with red and gold shimmer (or maybe micro-flakes?). Whatever is in it, it's stunning! Application was perfect - 2 easy coats and no topcoat in the photos. What do you think of this one? I love it! It is currently available at Cult Nails' website but it is LIMITED EDITION so if you want it, you better get it while you can! This is an amazing red. I never wear red...but this may change my.mind!